Singapore-based mobile social network mig33 has announced that it has joined the microblogging game with the introduction of its new mig33 miniblog feature, with which it is targeting 500 million new users in emerging markets. The company is one of the more significant consumer mobile firms that many are unlikely to have heard of and it is particularly well used in Asia, where it has 55 million registered users. 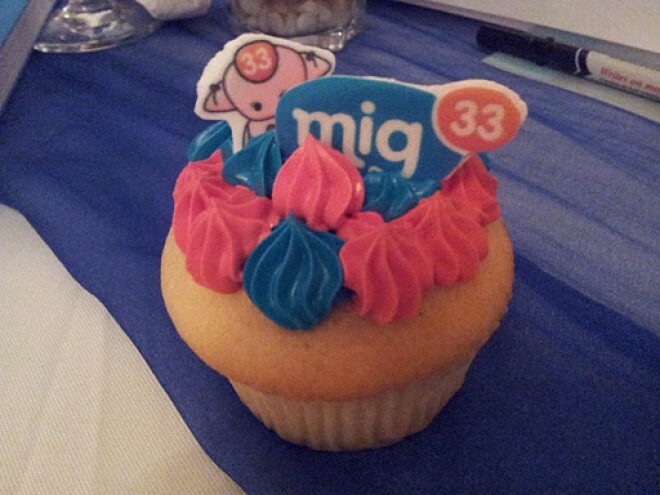 Based in Singapore, mig33 provides a dedicated mobile social network for smartphones and feature phones and it is adding the 140 character microblog function to the core of its service, following a 30 day trial with 300,000 users. Though tweeting is hardly anything new these days, the company believes that making it the “centerpiece” of its service, which will see it integrated with third-party games, chat, profiles and avatars, will set it apart from the competition. We think the miniblog will be the connector, the glue for our different services that connect users. You can access rich media, play games, and earn badges directly within the platform. This represents an evolution of our community. With the addition of the ‘glue’, mig33 is looking to grow its users in Asia and other emerging markets, which Goh believes can “offer more than 500 million new customers”. Inspired by Sina Weibo’s approach to game and feature-based microblogging, mig33 is adopting a “playful and more flexible” model than the real world identity of Facebook and others. In this day and age, with Facebook ruling much of Asia and messaging services like Kakao Talk serving more than 1 billion text messages per day, mig33’s own empire is under some pressure, even in its stronghold in Asia. Nonetheless, the firm’s own stats are impressive, and the company revealed that its users are sending one billion chat messages per day, while more than 185 million virtual gifts were sent between its users last year. While half a billion is a huge target, the fact that mig33 has so many active users shows that it certainly has potential to expand. The feature phone market is hugely under-served, considering that smartphones represent just 29 percent of devices worldwide, and mig33 certainly has a shot at increasing its presence by offering a more social service, but reaching 500 million new users is something else. The mig33 service is available as a J2ME client and for Android and Blackberry, and it can also be accessed through WAP and mobile Web clients. The company says that it will extend support to more devices and access points in the coming months.